Amazon recently announced a more compact version of its Fire TV, which already accounts for 1-in-10 streaming devices sold in 2014. A year ago, Roku and Apple TV dominated the market for streaming video devices, accounting for nearly 75% of all video streaming products sold in the U.S. in 2013. But in the last 16 months, Google’s Chromecast and Amazon’s Fire TV devices have stolen a significant chunk of Apple and Roku’s business. This is according to a new survey from Parks Associates, which still puts Roku at the top of the pile, though the company’s devices now only account for 29% of streaming devices sold thus far in 2014. Meanwhile, the Chromecast, which debuted in the summer of 2013 at a price point of only $35, has leapt into second place by representing 1-in-5 devices sold this year. The $99 Apple TV has been knocked into second place by the less-expensive Chromecast, dropping from around 25% of devices sold in 2013 to only 17% in 2014. 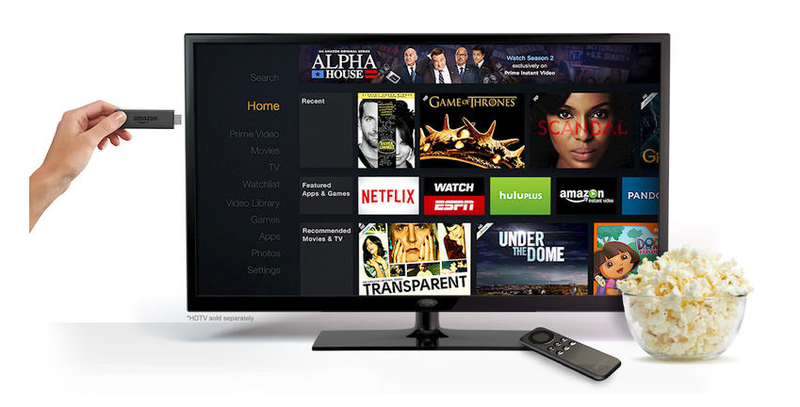 Amazon Fire TV was initially launched as a $99 set-top device earlier this spring. Despite that price tag and the fact that it wasn’t available for the first few months of 2014, Fire TV still managed to account for 10% of streaming device sales. The entry of the low-cost Chromecast has led others to reduce their prices to compete. Roku already had a similar dongle-style device when the Google device launched, but it sold for more than double the price. In 2014, the company revised that device and lowered the sticker price to $49. Just a few weeks ago, Amazon announced a dongle version of its Fire TV device for only $39 (some Amazon Prime customers were able to get it for only $19 via pre-order). The continued demand for streaming devices — in spite of the fact that many new TV sets now include streaming apps — highlights consumers’ increased desire to move away from traditional live TV and more toward streaming services that allow users to cherry pick which content they see. Streaming services will only become more popular, especially in the next year, as HBO, Showtime, and possibly other premium cable outlets launch online-only subscription services.